The Amerton Railway Summer Steam Gala 2015 was held on the weekend of 20th & 21st June. Amerton based locomotives W G Bagnall “Isabel” and Hunslet Wren “Jennie” were joined by Kerr Stuart Wren “Peter Pan”, Andrew Barclay “Jack” and, from the Statfold Barn Railway, the unusual and attractive Davenport “Ryam Sugar No. 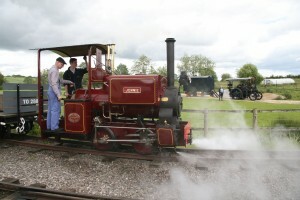 1”, only recently restored, whilst road steam was represented by Marshall 5 ton steam tractor “Mascot”. 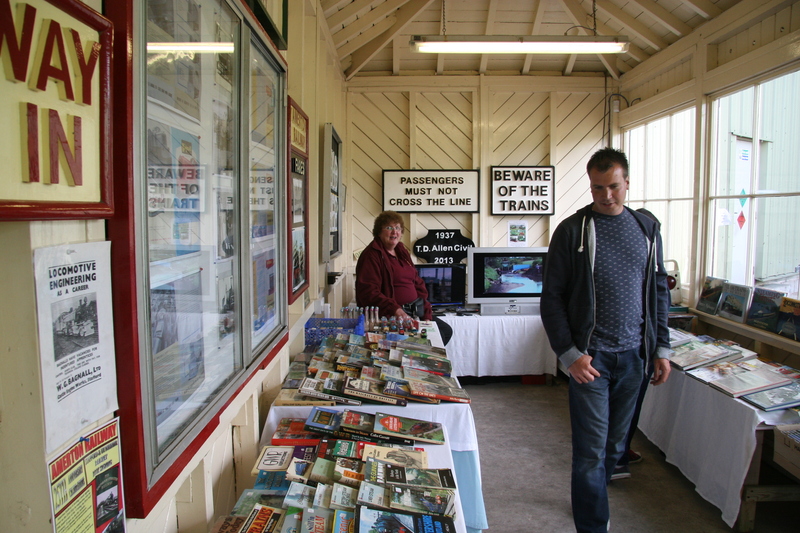 Formally opened by Mark Found, noted sound recordist and producer of the “Garden Railway” and “Trainspotting” series on the Discovery Channel , we were pleased, despite some very heavy showers on Saturday, to see many visitors on both days. 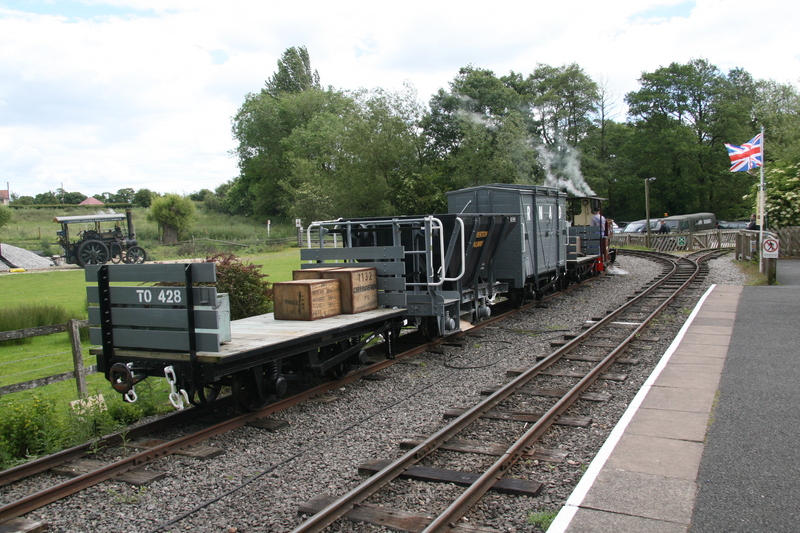 In addition to the intensive movements with both freight and passenger trains, we were again pleased to welcome the Association of 16mm Narrow Gauge Modellers, whose layout complemented the extensive display of model stationary engines put on by SNGRL member Ken Taylor. 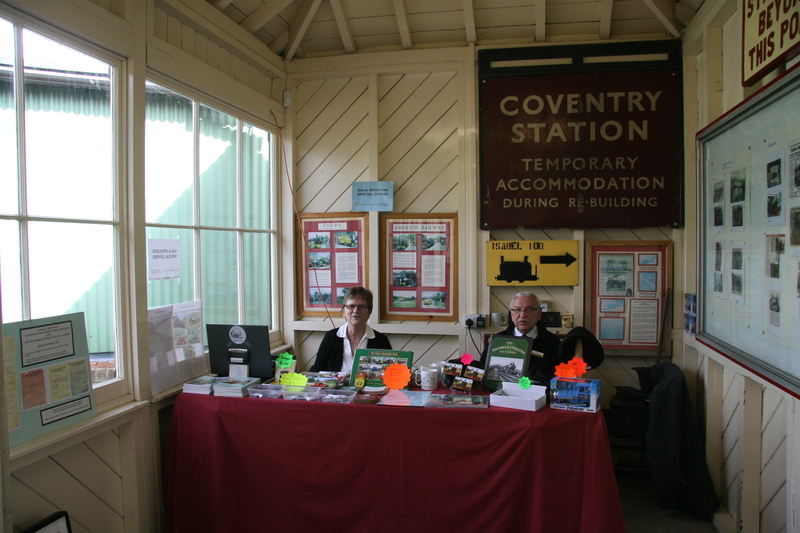 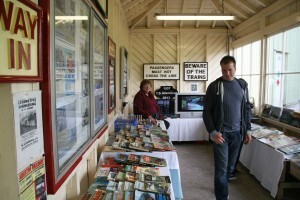 The Chartley Building was open for viewing the display of Amerton Railway and related memorabilia, as well hosting our stands selling Amerton Railway merchandise and second-hand railway books & magazines. 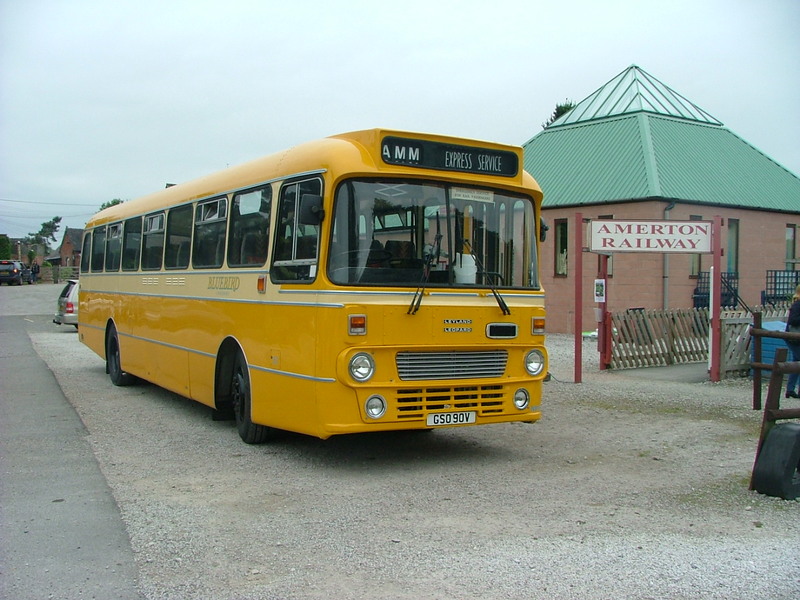 On Saturday further interest was added by the periodic appearance of the vintage Leyland Leopard bus, which provided a free shuttle service for visitors to and from Stafford Station. As usual, visitors had access to the yard to view loco preparation each morning and then to see the collection of diesel locos throughout the day. Accompanied visits to the loco shed and workshops also proved popular. 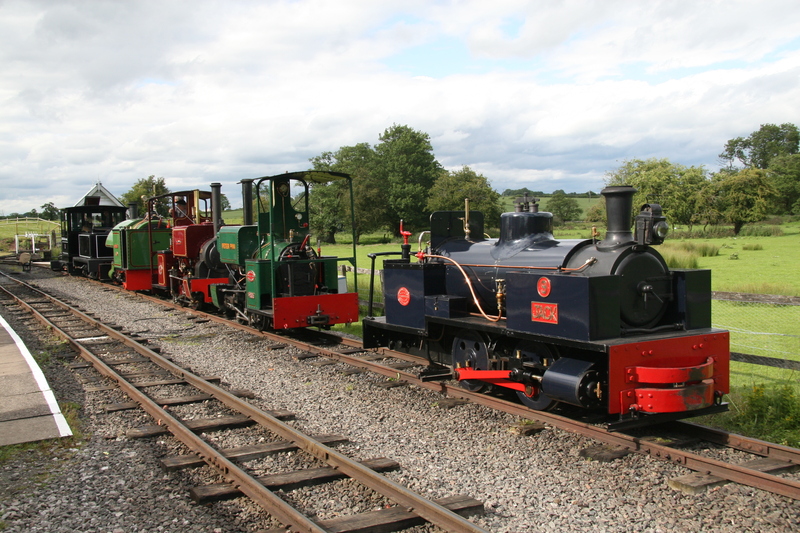 All in all another very successful Steam Gala , SNGRL wishes to thank Mark Found, Graham Morris with “Peter Pan” and Nick Williams with “ Jack” for bringing and crewing their locos, Graham Lee and the Statfold Barn Railway for the loan of “Ryam Sugar No. 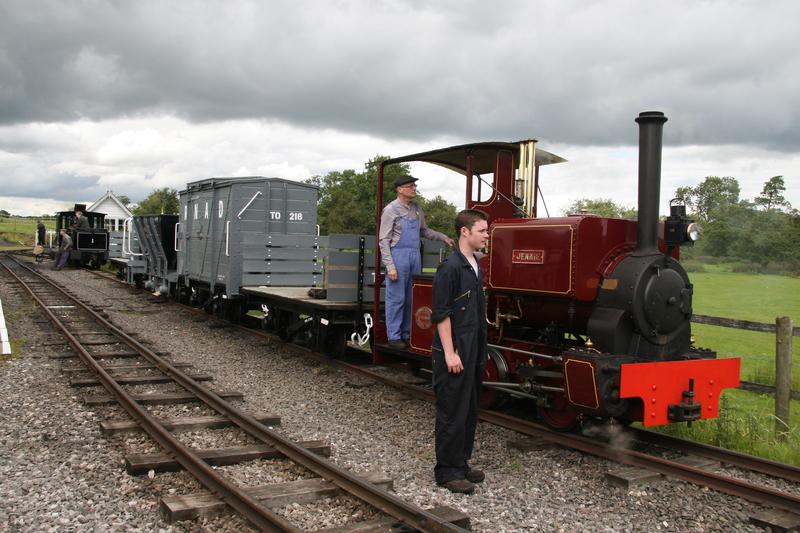 1”, Hedd Wyn Jones for bringing “Mascot“, Rob Duffill for providing the vintage bus service and the Amerton Railway “home team” who worked very hard to prepare for and run the Gala. 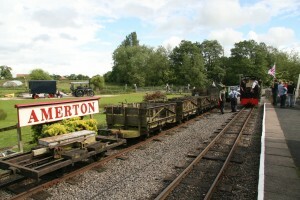 What’s on at our Gala? 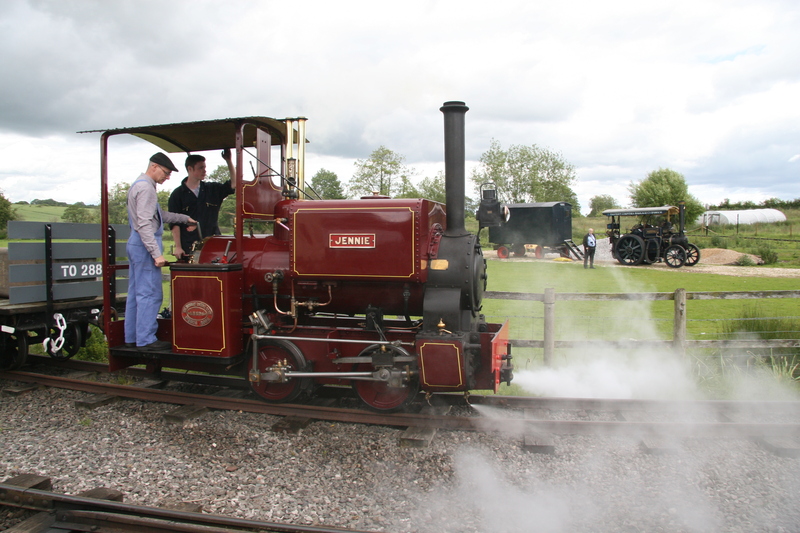 Here is a fantastic video of our 2013 gala produced by Mollsmyre. 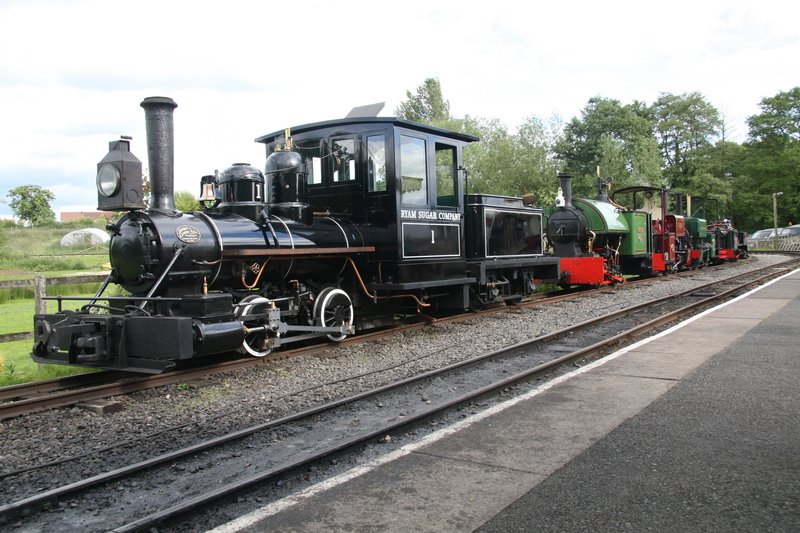 You can see live updates about our Steam Gala on Facebook! Locomotives in steam are subject to availability.